After four and a half months of visiting a few hundred wineries on three continents, it’s interesting looking back and deciding which were the best to visit, but not necessarily had the best wines. When I had the owner of the winery as a host it was always fascinating as you get the full story, and can ask any question and get a thoughtful and clear answer. Whether they own the winery or not, it is also great to get the perspective of the winemaker as they are the ones determining the style of the wine, and can also provide much more technical answers. Sometimes it has been great to get the perspective of a commercial/marketing director, as they provide insights on dynamics and branding. With no disrespect intended (particularly as I have worked in the position myself), rarely do hospitality/cellar door hosts provide any insights into the winery, and often are unable to provide all the answers. This is not to say that I don’t have enjoyable or interesting visits with these hosts, but I don’t always learn something. Occasionally they also don’t understand the nature of my visit, and in extreme cases ask if I would like to buy any bottles in spite of my restricted budget. This mostly happened in North America though. Now that I am three weeks into my German wine adventure, I am finding that I have learnt quite a lot and have started to wrap my head around the riesling grape a bit more. It is such a great experience to see the way that terroir can influence the variety, as the Rhineland-Pfalz area of Germany is particularly diverse. It is also interesting (but not surprising) to note that the best examples tend to come from very small and specific areas, often in much larger viticultural regions. If you are lucky enough to own parcels of vines in these areas you owe it to yourself to translate the fruit they produce into good examples of wine. So it was with great enthusiasm that I entered the final great riesling region of Germany, the Pfalz, which is set back from the Rhine River and sits sheltered by the Haardt Mountains. The region is warmer than those to the north, so ripening has never been an issue. As such many other varieties are grown here, including those from the pinot family. As many would know, there has been a great tradition of German families establishing wine businesses across the border in France, particularly in regions like Alsace and Champagne. But until today I wasn’t aware that the opposite was true, when I visited Mueller-Catoir in the village of Haardt. 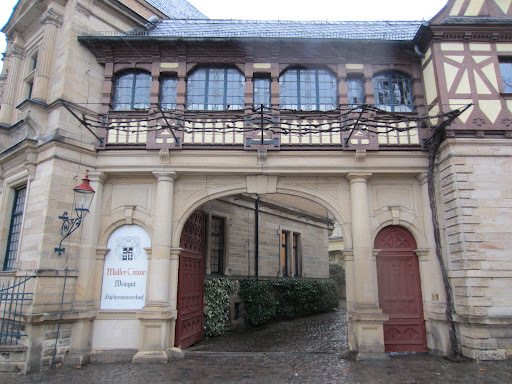 The Catoir family escaped religious persecution in France and established a wine business in the Pfalz in the 18th Century. The Mueller name joined Catoir through marriage not long after and the house as we know it was born. The estate now is run by the sixth generation, and today owns 20 hectares of vineyards in Haardt, Gimmeldingen and Mussbach. 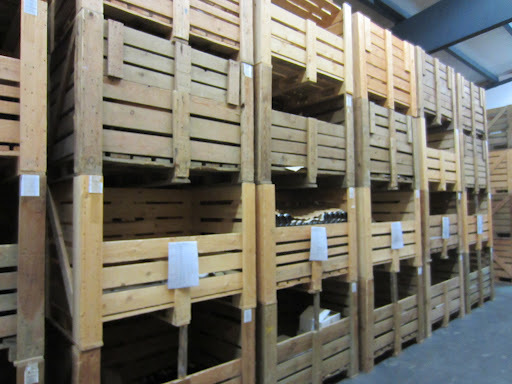 They use the VDP system of classification, starting with the Basis range (gutsweine), then the Klassiker range (ortsweine) and finally the Terroir range (lagenweine which include one grosses lagen). The wines were all of great finesse and vibrancy, and are extraordinarily under-priced. Click here to read my notes from the tasting. 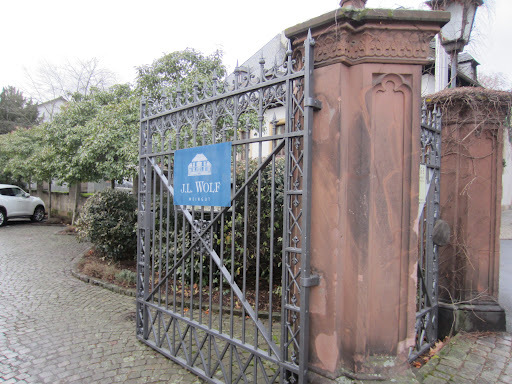 The Wolf family is one of the oldest wine families in the Pfalz, and over 100 years ago commanded a great reputation for producing quality wines under the J.L. Wolf brand. Like many others in Europe in the 20th Century (particularly in Germany), they lost their way at some point and became more about volume than quality. So when Dr. Ernst Loosen purchased the business in 1996 he got access to some truly underappreciated vineyards, and also a lot of underperforming ones. His plans for the estate are quite radical, and have involved selling at least half of the vineyards, and streamlining the range of wines. 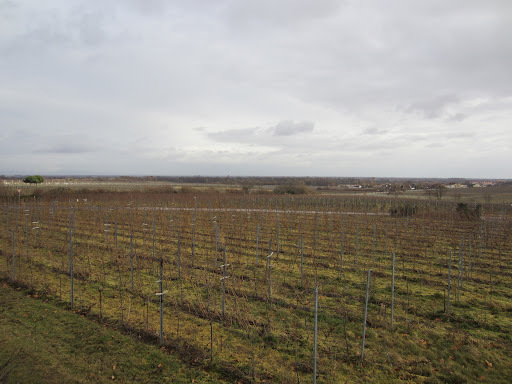 Whilst this seems at odds somewhat with the nature of his Mosel estate, I think it is very important for the Pfalz winery, as it is very important for the export market. I sat down with the operations manager Sebastian for an interesting discussion over some of the 2010 and 2011 wines. Click here to read some of the notes. The Christmann family have been in wine for centuries, and Stefan Christmann is the ninth generation of his family to run the business. As the president of the VDP, he is a pretty important person in the German wine industry. The wines they produce are arguably the best in the entire Pfalz region, and sell in some of the finest restaurants in the world. Capturing the purity of the variety is the focus, and as such the winery uses modern practices such as gentle pneumatic pressing, cold-settling then racking and fermentation in stainless steel tanks, but the wines are left in bottle for a longer period before release to allow the reductive elements of the wine to subside. The winery owns parcels of vineyards throughout the Mitelhaardt, which is considered the most premium part of the Pfalz region. The winery is well-known for the quality of both its dry and sweet wines. Click here to read notes on some of the wines I tasted. Click here to see more photos from Day One in the Pfalz, Germany.